Editor's note: This article was originally published on 7 January. It is being republished in light of Tassaduq Hussain Mufti's induction as a cabinet minister in the PDP-BJP coalition government in Jammu and Kashmir. 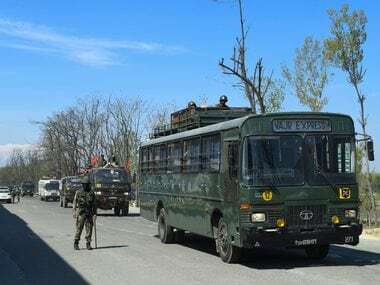 Srinagar: Speculation was in the air for a long time but no one got a whiff of it, including his friends and close associates. When Tassaduq Hussain Mufti, the youngest of the four siblings and the only son of the late Mufti Mohammad Sayeed, announced his decision to join politics everyone was surprised. 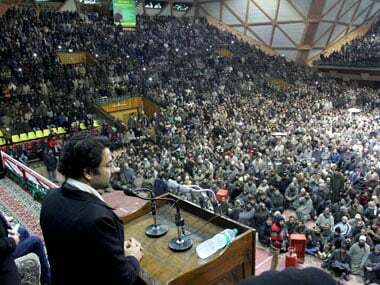 "I am not joining PDP for being the son of late Mufti but because I was inspired by amount of work PDP had done for people," Tassaduq, 45, told a huge gathering inside the Indoor Stadium in Srinagar, where thousands of PDP workers had gathered on the first anniversary of late Mufti Mohammad Sayeed. Sayeed had passed away on 7 January last year after a brief illness. 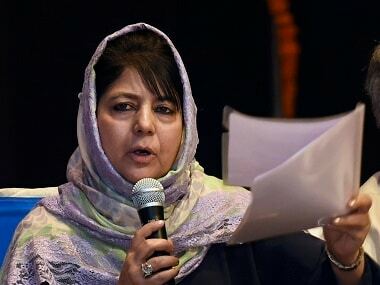 It was his daughter, Mehbooba Mufti, the president of PDP, who after months of wait decided to go ahead with the PDP-BJP alliance in the state, which her father stitched. On Saturday, the junior Mufti said he was inspired by his father and would work for the peace and prosperity of the state "where common man and VIPs will walk together. My endeavor is to work for people and carry forward the mission of my father," he said amid thunderous applause from people. "I have remained aloof from politics all my life. But today, I have joined the PDP officially and it is a very important day of my life. I will walk with you and take your aspirations along," Tassaduq said while addressing the party workers and thanked them for their support. Last year in January after the death of his father, when the core group of the party met in Srinagar for the first time to discuss government formation with BJP, Tassaduq was present in the meeting. Tassaduq earned fame as a cinematographer while working in Vishal Bhardwaj's Kaminey and Omkara. He won the Zee Cine and Star Screen awards for Best Cinematographer in 2006 for Omkara. He has studied cinematography in the US. After his first film, Omkara, Ravi K Chandran, one of India’s best directors of photography called him one of the "most outstanding cameramen in India". However, he never showed any interest in politics. 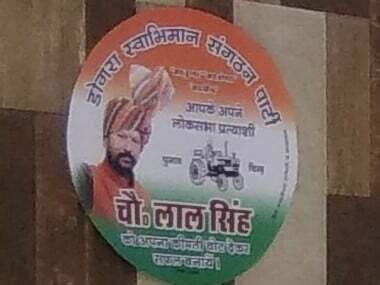 Throughout last year, after the death of his father, he got himself involved in many heritage projects in the state, including the famous silk factory in Srinagar, which has been turned into ruins from last few decades and his friends say he was working on getting the government to declare it as a heritage site. He also helped tourism department indirectly to map heritage sites in Kashmir. 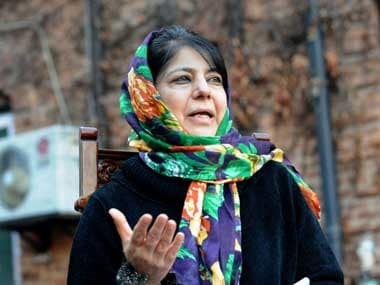 In Mufti’s family, Mehbooba, the present chief minister, has been the only visible face in politics. She has been the driving force behind the PDP emerging as a stable force in Kashmir politics. She worked for years to make true her father's dream of becoming the chief minister of the state. But unlike Mehbooba, Tassaduq never spoke publicly and never expressed his desire to join politics until Saturday. But he did help young entrepreneurs, many boys and girls with start-up projects, coffee shops, boutiques, Kashmir arts, giving them tips on funding, packaging, and markets. It would certainly be an acid test for Tasadduq despite Anantnag being a traditional political turf of the Muftis.